The unit is not reading discs properly any more. It works sometimes, but other times it flakes out. What's the red ring of death? There are no unsolved problems listed on our records for this video game console. To submit a problem or give a solution for an unsolved problem, please see the section below. Solution 1: Reset the machine either by holding down the power button or by removing the power source. Check it's not too hot - overheating can cause freezes. Solution 1: Check you're not accidentally covering any of the air vents. Don't keep things on top of the unit while it's in use. Solution 1: This can be one of a number of problems. 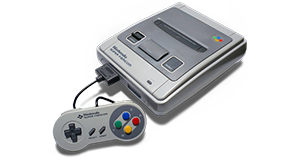 In a portable console, it would denote a low battery or other battery problem, but in a home console it can mean loose or damaged cables, or overheating, usually due to poor ventilation. Problem: The unit is not reading discs properly any more. It works sometimes, but other times it flakes out. Solution 1: It could be a fault with the disc drive's laser. If it's under warranty, you can get this fixed for free, if not, you might see if somewhere can fix it for you. Of course, if your game discs are dirty or have scratches, you should clean them with a soft cloth (not a tissue) and see if that works. Problem: What's the red ring of death? Solution 1: It's a set of warning lights on the front of the Xbox 360 console that light up, usually when there is a hardware fault. All problems on this page have been submitted and answered by users. If you have a problem with the Microsoft Xbox One, please submit it below and we'll post it here. If you have a problem and the console is under a year old, contact your retailer to arrange a repair or replacement. Under the Sale of Goods Act, you should be covered for at least a year and maybe longer. Ensure you check faults with a range of games - you want to be sure the console (and not the game) has a fault before you do anything drastic.